After graduating High School in Monette in 1998, Kyle Lomax attended University of Arkansas for Medical Sciences in Little Rock. Kyle married Kass Qualls in 2001 and graduated Pharmacy School in 2002. Shortly thereafter he and Kass began working with Kenny as they purchased the Jonesboro store, Plaza Drug, in 2000. 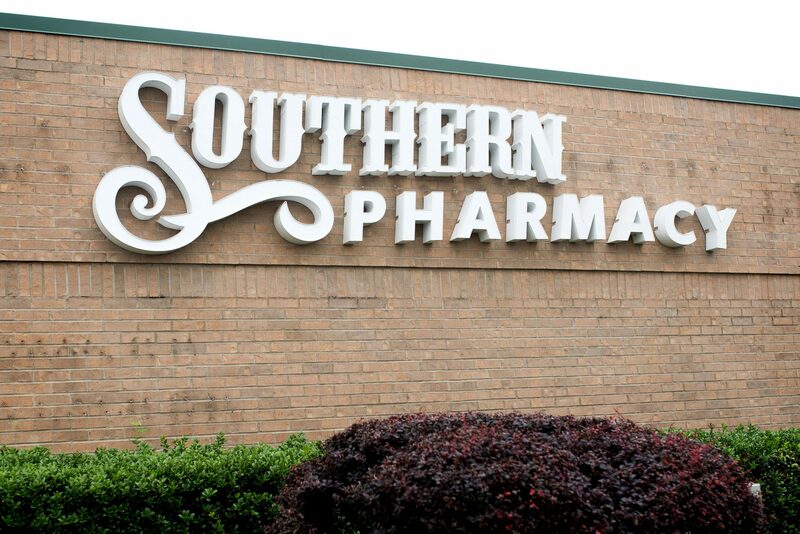 Southern Pharmacy now owns and operates 6 stores in Jonesboro, Lepanto, Lake City, Monette, Leachville and most recently Marked Tree. They employ over 25 full time staff employees and offer an internship program for college students and part-time workers. We are committed to transform the health care experience through a culture of caring, quality, safety, service, innovation, and excellence. We will provide affordable care and services that set community standards while remaining patient and family centered. We are committed to being recognized as an excellent community citizen embodying an organization of people devoted to doing the right thing every day to improve the health of those we serve.